As part of our commitment to the local communities around Watford and North London, Met offers an award for sporting achievement to the pupils of the Mill Hill School in NW7. This is the second year we have done this. The school’s sports department pick an individual pupil who they believe has excelled. Met then present a trophy to them at the end of the term. This year, 2013, the award goes to LUKE BODNAR. Luke is a wicket keeper with the school team and were playing away in a key match against the St. John Lyon school. Luke made a spectacular catch from a full body dive to take the last wicket and win the game. Well done Luke!! 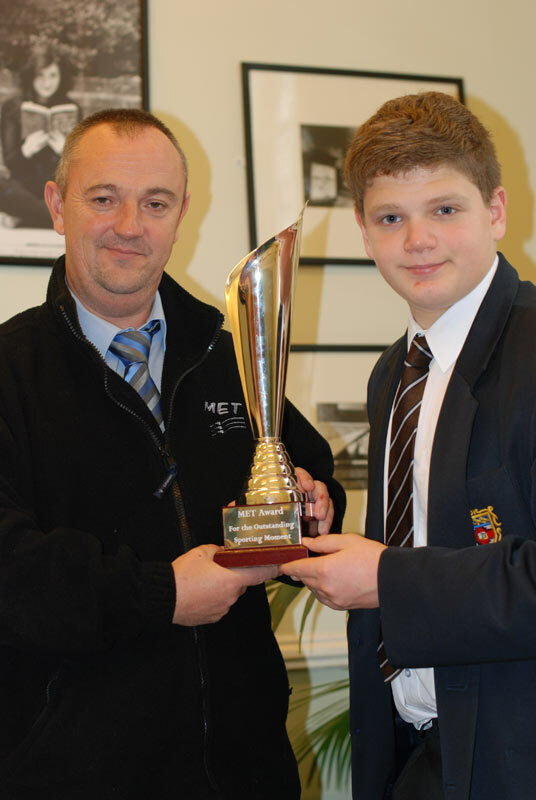 Photo: Andy Emery, MET Coaches Operations Manager presenting the Met Coaches Award to Luke Bodnar.